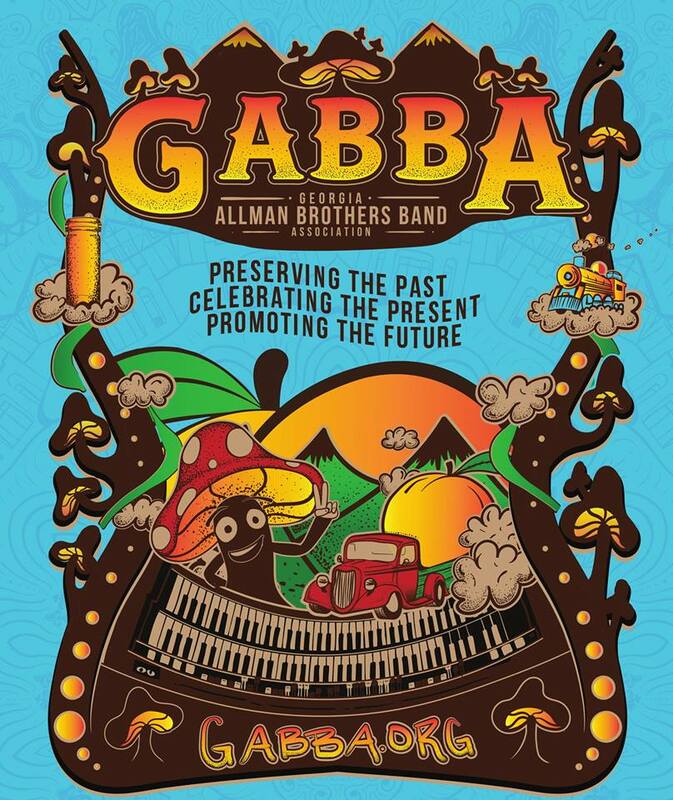 For all you who love the ABB and their music, GABBAfest ’99 has the theme, “Thirty Years of Allman Joy.” Being the 30th anniversary of their first album, we’ll be scheduling GABBAfest ’99 to take advantage of this special occasion. 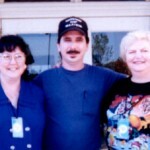 of the ABB in Macon and Georgia. It’s our pleasure to announce the 8th Annual Allman Brothers & Sisters Family Reunion and Revival… GABBAfest 1999!! GABBAfest is a chance for fans of the Allman Brothers Band to come together. Each year, fans gather knowing that the whole weekend is a chance to come to the early home of the ABB and join other fans to revel in the sights and sounds of GABBAfest. This special 30th anniversary GABBAfest will bring you closer to many of the places in Macon that were direct influences on the ABB over 30 years ago. Each year, we hear from the musicians who played during the GABBAfest that they really felt the acceptance of the audience and that in turn allowed them to pull out all the stops to give us back a show that we’ll never forget. We’ve chosen the historic Douglass Theatre Complex as the home for this year’s GABBAfest. The Douglass has musical roots in the community starting from it’s opening in 1921. This facility will allow us to consolidate the Revival and musical venue events into one central location, near most of the GABBA and community sponsored activities. We’ve had some really great music venues during the past GABBAfests, but this year, when you walk into the Douglass Theatre (and indeed all through Macon), you’ll feel the history and warmth of a place that has cultivated the community’s musical heritage. Home to weekend registration and information, ABB concert video on 20’ theatre screen, Friday welcome dinner, GABBy presentation and a special anniversary memorabilia auction. Saturday the Douglass will house the 8th annual Collector’s Revival, the special acoustic afternoon concerts as well as the evening electric anniversary show. 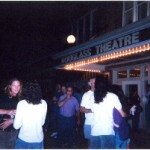 We are very proud to have the Douglass Theatre Complex as our central gathering point for GABBAfest ‘99. This Theatre has seen such Jazz and Blues greats as Otis Redding, James Brown, Little Richard and Bessie Smith. It’s one of the centerpieces of downtown Macon. 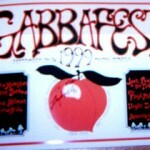 Registration and information for GABBAfest ‘99 will be in the lobby of the Douglass Theatre. The registration area is the place where you can get information about all of the events making up the GABBAfest. You’ll find information on weekend schedules, directions, planning ideas and more. This is also where you come if you have pre-registered. It’s the only place you can purchase your GABBAfest ‘99 weekend ALL ACCESS laminates that guarantees you access into all GABBAfest ‘99 events. Experience concert footage on the 20 ‘ Douglass Theatre screen. What else needs to be said? Join the other GABBAfesters in one of the most requested events of the GABBAfest, the Welcome Dinner. The Douglass Annex and adjoining patio will be transformed from meeting areas to the site of our 30th anniversary dinner. As always, it’s an informal dinner to kick off the festivities. This is the fourth year GABBA will be giving out the GABBY award. 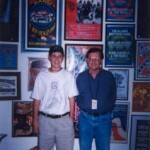 Each year, GABBA chooses a person (or persons) that exemplifies the ideals we feel a part of as fans of the ABB. Past recipients were: Matt Abts, Warren Haynes and Allen Woody; Mama Louise at the H&H; and all the fine folks at The Big House. Our annual auction is a fund raiser for our efforts to seek out and preserve the legacy of the ABB in Georgia. 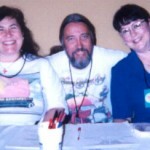 Fans from all over donate a piece or two from their collections for this auction. Some amazing things seem to surface each year. If you would like to donate an item for the auction, please email us for info. The inaugural night for GABBAFest ’99 opens with The Vaylor Trucks Trio. Vaylor has sat in with his cousin, Derek Trucks, as well as the ABB. This is Vaylor’s first performance at GABBAfest. Following them will be Honeytribe with Devon Allman.The headliner is Atlanta’s own Col. Bruce Hampton and Planet Zambee with Barry Richman. The Georgia Music Hall of Fame will again be a part of the GABBAfest. As part of GABBA’s charter, we’re proud of our role in helping preserve the ABB legacy by multiple donations to the Hall. Last year, the Georgia Music Hall of Fame inducted the ABB during their Fox Theatre run. The Hall was our home for GABBAfest ‘97. We’re so proud to have a medallion on their wall of supporters. A block and a half from the Douglass is the place where the early ABB made many recordings. This building has been through a lot over the years, including a fire which if not for the efforts of our founding President, would have resulted in the loss of some one of a kind artifacts. The facility is again a working recording studio and the people at Phoenix Sound have again opened their arms to the ABB fans. Last year, our base of operations was at Phoenix Sound. This year, the fans have a chance to walk into this Holy Grail of Recording in Georgia. What kind of Revival? 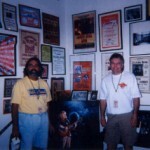 “People can you feel it?…” Our theme of GABBAfest ‘99 is “30 Years of Allman Joy” in celebration of the 30th year anniversary of the ABB’s first album. Over the past 8 years, our Revival has evolved into a series of displays of some of the fan’s memorabilia collections as well ABB, Fan Club, and past tour merchandise. It really is the only place to get some of this stuff. We also make space for other local vendors to give the fans a chance to sample the community as is only possible at the GABBAfest. As a remarkable addition to our Collector’s Revival, this year’s attendees will get the chance to see very intimate acoustic shows. As the Collector’s Revival runs in the Douglass Theatre Annex, the Theatre will host 3 30-minute acoustic performances by Ancient Harmony, Chris Hicks, and former ABB guitarist Jack Pearson & Friends. This second night of the weekend celebration will unfold again at the Douglass Theatre. The opening performance is still in the works. The second performer will be Floyd Miles. Gregg Allman credits Floyd with being one of the main influences on his style of singing and playing. You’ve seen Floyd play with Gregg’s band through out the past few years. The main performance is Jack Pearson & the Nationals. You never know who could show up to play with this band. We missed out on seeing them last year when they could not play at the Jazz In The Park show. This year, we will not be denied. Sunday is usually the slow day of the weekend. This year we decided to do something special. We’re calling it Cover to Cover. Why? We start at the front entrance to Beall’s Restaurant. Beall’s is closed but we have special permission to access the front portico where the Brothers took the picture for the front of their first album. Form there, we walk 4 blocks down College Street, past three of the early apartments where members of the ABB lived, through the College Street entrance to Rose Hill Cemetery. At Rose Hill, we go back to the site of the picture from the back cover of the ABB’s first album. Our tour ends with the start of our 3rd Rose Hill clean up of the year. GABBA has adopted all 80 acres of Rose Hill through the “Adopt-A-Spot” program. As a note, many of our participants pick up trash every time they visit Rose Hill. It’s our way of showing the world how we feel about the community and our way of showing everyone how GABBA approaches the many concerns around Rose Hill. ($40 if you register before September 10th!). All proceeds benefit the preservation of the Allman Brothers Band in Georgia. with The Vaylor Trucks Trio, Honeytribe with Devon Allman, and Col.